When we think of whiplash we think of someone getting rear-ended in a car and being stuck wearing one of those ugly neck braces for weeks on end. While this is the primary mechanism of injury for someone suffering from whiplash it is not all there is to know on the subject. Whiplash is a condition of the cervical spine (neck) brought on by a distortion of the neck, usually from severe acceleration or deceleration of the body, driving the cervical spine into excessive extension, flexion, or a combination of the two. Our typical rear-end accident resulting in whiplash is a stationary vehicle suddenly hit from behind by another. In this case, it is not the impact of the car that causes the injury, it’s the severe “jarring” or “whipping” of the head backward, driving the neck into extreme extension and injuring the muscles, ligaments, and skeleton making up the neck. This whip-like action of the neck gives “whiplash” its’ name. In severe cases of whiplash the skeletal/structural component of the neck can also be compromised with fractures of the vertebrae, loss of cervical lordosis (natural curve), and ligament tears. Chiropractic care during the healing phase of a whiplash injury can be very beneficial for the client. It can shorten recovery time from the injury, increase range of motion, promote the cervical lordosis, reduce muscle tension and pain, and improve blood flow. Cervical spine x-rays are very important after the injury to rule out any fractures of the spine. 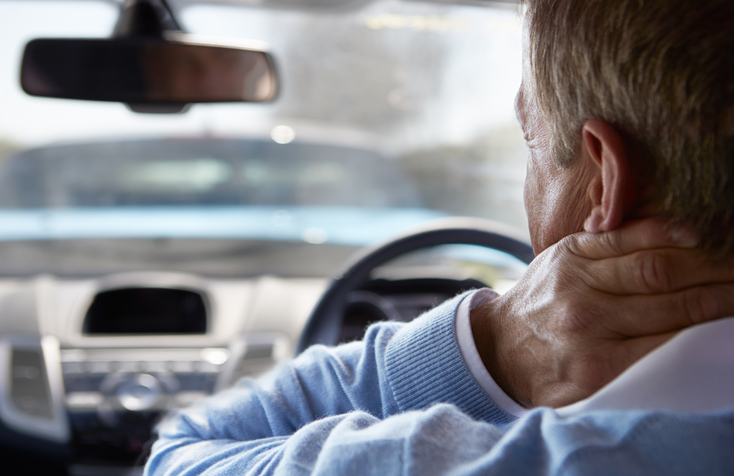 Whiplash associated disorders usually have a long rehabilitation process, so it’s very important that you start treatment immediately after sustaining the injury. Studies have shown that getting active treatment decreased recovery time by 4 weeks as opposed to those who just used the cervical collar. Any symptoms that persist longer than 6 months are then classified as whiplash syndrome. Whiplash and whiplash-associated disorders can be complex and require unique personalised care plans for each case. Recovery times are unpredictable and some sufferers respond better to different treatments. Chiropractic care has a variety of techniques that can be tailored to each unique case of whiplash. Book chiropractic treatment for whiplash with your nearest Wellspring Chiropractor (North Lakes), by clicking here.